Nationality: Irish. Born: Balleymena, Northern Ireland, 7 June 1952. Family: Married the actress Natasha Richardson, 3 July 1994, one son: Micheal Richard Antonio. Career: Film debut in Excalibur , 1981; theatrical appearances include (Broadway) Anna Christie , 1993. Agent: Susan Culley & Associates, 150 S. Rodeo Drive, Suite 220, Beverly Hills, CA 90212, U.S.A.
O'Connor, Aine, and Liam Neeson, et. al, Hollywood Irish: In Their Own Words: Illustrated Interviews With. . . ," New York, 1997. "Darkman's Liam Neeson Unmasked," interview with Marc Shapiro, in Video Review (New York), March 1991. "Stranger in Paradise," interview with Joe Morgenstern, in Harper's Bazaar (New York), December 1992. "Ladies' Man," interview with Gil Gibson and Hunton Downs, in Ladies Home Journal , September 1994. "The Lusty Charm of Liam Neeson," interview with David Gritten, in Cosmopolitan (New York), February 1995. Millar, Ingrid, Liam Neeson: The First Biography , New York, 1995. King, Patricia, "A Wee Bit of Hollywood Power," in Newsweek (New York), November 1988. Frankel, Martha, "Man of the Year: Mercurial Liam Neeson Can Play a Masked Avenger, a Desperate Boxer, a Lover and a Mute. But What Is He Really Like?," in American Film (Los Angeles), December 1990. Mansfield, Stephanie, "Liam Neeson Puts on the Kettle," in Gentleman's Quarterly (New York), December 1993. Howell, Georgina,"Liam's Leap," in Vogue (New York), January 1994. Appelo, Tim, "Oskar Winner," in Entertainment Weekly (New York), January 1994. Smith, Dinitia, "It's. . . ! Liam Neeson," in New York Times Magazine (New York), December 1994. Irish-born Liam Neeson has the features and presence of a film star of the 1930s or 1940s—a Paul Muni, perhaps, or Robert Mitchum. A laborer before becoming an actor, he cuts a strapping figure that makes him ideal for over-the-top hero roles in the grand tradition of Hollywood's Golden Age. But there's a vulnerability about him that makes him equally suitable for today's sensitive hero types, as well. He brought both of these characteristics to his star-making, and Oscar-nominated, performance in Spielberg's Schindler's List , a film that accentuated Neeson's old-style Hollywood looks by being shot in noirish black and white. Neeson's Schindler, who saves the lives of more than one thousand Jews from the extermination by the Nazis, is shady but honest, pragmatic but altruistic—the quintessential noir hero, a man walking a tightrope down some very dark, very mean streets. He is also a man with a desperate need to feel accepted—the protoypical Spielberg hero. The real Oskar Schindler was an enigma. History still can't put a finger on the actual motives that prompted him to save the lives of so many of his Jewish employees. Was he a humanist who saw a terrible wrong and did his best to right it? A charismatic scoundrel? Or a savvy exploiteer who saw no profit in sending productive workers to the gas chambers? And does it really matter, for what counts is that he did save lives when others in a position similar to his sat back and did nothing. For most of the film, Neeson plays Schindler as just such an enigma, a genuine man in the middle—until Spielberg blows the character's fascinating ambiguity at the conclusion by having him break down in front of the Jews he has saved and despairing at not having been able to save more of them. This behavior is simply inconsistent with the character Neeson, the screenwriter, and Spielberg have created for us up to this point; it strikes such a false note of strained sentimentality (and trademark Spielbergian pathos) that one can almost feel the actor gritting his teeth to get through the scene. Tellingly, it is his only unconvincing moment in the three-hours-plus of the film. Neeson made his screen debut as one of the knights of the round table among an ensemble cast of (then) largely unknown British and Irish players in John Boorman's Excalibur , an exquisite recounting of the Arthurian legend; the role required little of him except a hardy build and a sense of physical and moral strength—his trademarks to this day. He is virtually unidentifiable behind beard and armor; one can see the film even now and not realize he's in it, though his role is not insubstantial. One year later he was back in Camelot, and identifiable this time, among the ensemble cast of Clive Donner's TV epic Arthur the King , a decided come-down from the Boorman film that mixed medieval derring-do with Lewis Carroll and sat on the shelf for three years until the network aired it. This seemed to form the pattern of much of Neeson's first decade of film work—substantial if not noticeable roles in high-profile action/period pieces ( The Bounty, The Mission ) and noticeable, high-profile roles in action-filled duds ( Next of Kin, A Prayer for the Dying ). 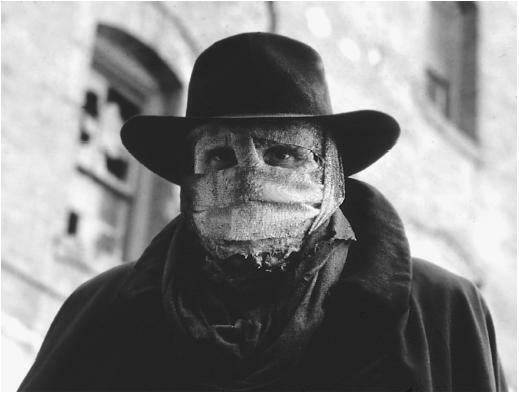 Sam Raimi's cartoonish Darkman changed Neeson's fortunes. As the gentle giant scientist turned avenging phantom of the title, Neeson revealed that he could not only handle action scenes but register the kind of sensitivity audiences seemed to want in movie heroes of the 1990s. He started getting major parts in major films that stressed this aspect of his talent—the understanding lover who awakens Diane Keaton's sensuality in The Good Mother ; the nice guy local who woos traveling huckster Debra Winger in Leap of Faith ; the wily but vulnerable German soldier romanced and (improbably) manipulated by spy Melanie Griffith in Shining Through ; the down-on-his-luck private eye accused of murder who must prove his innocence in Under Suspicion ; the romantic farmer trapped in a loveless marriage in Ethan Frome ; the persecuted bread thief Jean Valjean in Les Miserables ; the compassionate small town doctor who nurtures—and is nurtured by—a backwoods wild child in Nell— where Neeson ably supported star Jodie Foster's (failed) bid for another best actress Oscar. As the legendary Scottish folk hero Rob Roy who revenges himself on the English who raped his wife (Jessica Lange) and oppress his people, Neeson returned to the lusty, swashbuckling hero type he'd played early on in his career—yet brought to it many of the same qualities of his later roles. His Scottish chieftain is both a man of action and pillar of integrity, as well as kind and loving husband and father. His duel with villain Tim Roth in one of the best screen swordfights since the halcyon days of Flynn and Rathbone. Apart from Neeson's charismatic performance, it is also one of the few highlights in this otherwise dull and routine costume adventure, which had the misfortune to be released the same year as Mel Gibson's similar-themed but more exciting Braveheart , and came in second with both audiences and critics. Neeson segued from Rob Roy to another period piece, though a more modern one, also about an historical figure. As the title character in Michael Collins , he is again a rebel leader fighting to free his people (here, the Irish) from English oppression, circa 1916. Nesson's charismatic, multi-faceted performance is the glue that holds this very uneven but occasionally quite powerful film about the politics of idealism and destruction together. Neeson's next film— The Haunting , a dreadful remake of the 1963 classic of the same title—required little of the actor (or anyone else in the cast) except not getting lost amid the relentless razzle-dazzle of its computer-generated special effects. The same was true of Neeson's follow-up: the George Lucas money-machine Star Wars: Episode I: The Phantom Menace , a prequel to Lucas's previous Star Wars adventures and the launch of a new trilogy of Star Wars space operas. Neeson's character is called upon to do not much more than spout more of Lucas' "The Force is with you" philosophy, and to wield a mean light saber—both of which the actor handles well. Perhaps because of the over-reliance of these two films on special effects rather than acting, Neeson chose as his next project the offbeat character-driven crime comedy Gun Shy— in which he turned his back on heroics to play a ( very un-Neeson-like) character best described as a dolt. Laugh-free, the film was an embarrassing misfire for all concerned—but especially for Neeson, whose performance in the change-of-pace role was singled out by critics as a squandering of his considerable talents.